To mark its 500th game in European competitions dating to 1960, Olympiacos Piraeus took over sole ownership of first place in Top 16 Group F with a tense 77-72 victory over visiting Unicaja Malaga on Friday. 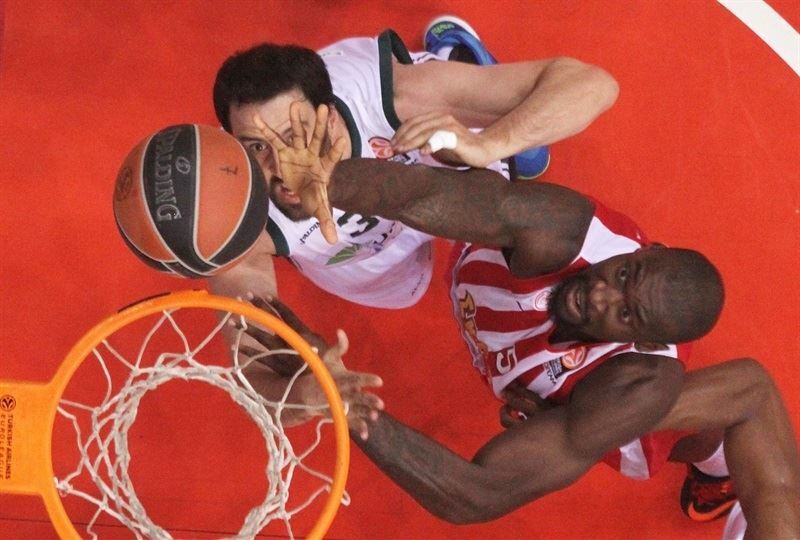 Olympiacos improved to 7-1 with its 13th consecutive Euroleague home win. Unicaja remained in last place at 1-7 despite leading for the entire first half and being within 61-60 with under 7 minutes left. 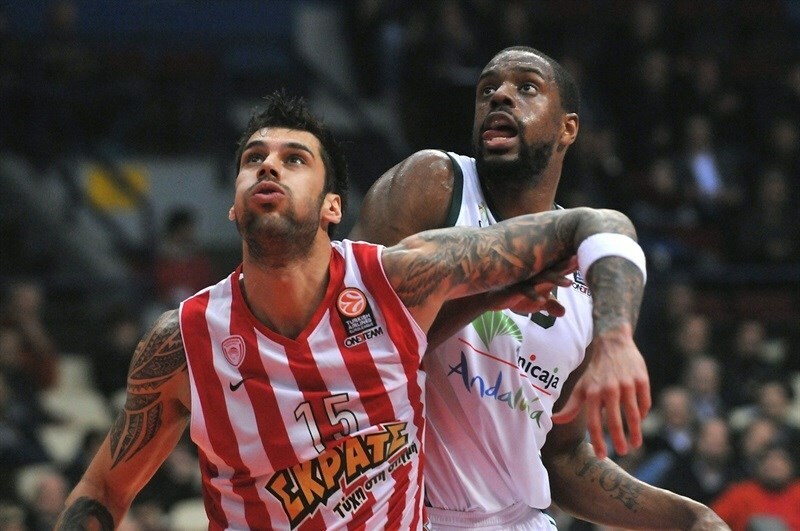 That's when Olympiacos went on a 10-3 run behind 7 points and an assist from Vassilis Spanoulis to put the game away. 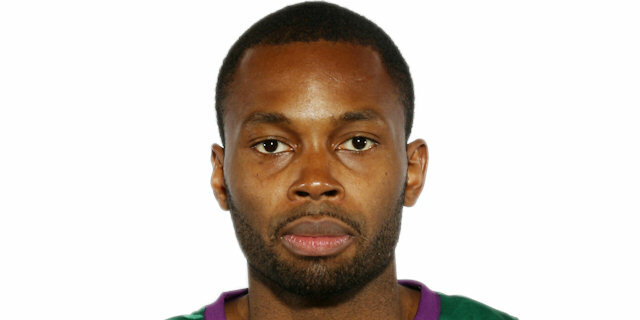 He finished with 18 points and 10 assist for the winners, who also saw Georgios Printezis score 13 and Matt Lojeski 12. Unicaja got 13 points form Jayson Granger, their only double-digit scorer despite having more two-pointers (21 to 18) and as many threes (7 to 7) as Olympiacos. But the Reds got more free-throw opportunities, making 20 of 24 at the line compared to Unicaja's 9 for 11, to make the difference. Kostas Vasileiadis drilled a triple against his old club to open the scoring, while Spanoulis fed Bryant Dunston to get Olympiacos on the scoreboard. Granger stole and finished a fastbreak to raise Unicaja's lead to 2-5. Caleb Green put back an offensive rebound to make it 2-7 before Vangelis Mantzaris broke an 0-for-6 start from the three-point line by Olympiacos with his shot from the wing. Green answered with a pair of inside baskets at the same time that Printezis came on with a dunk and his patented one-hand baseline shot for Olympiacos. 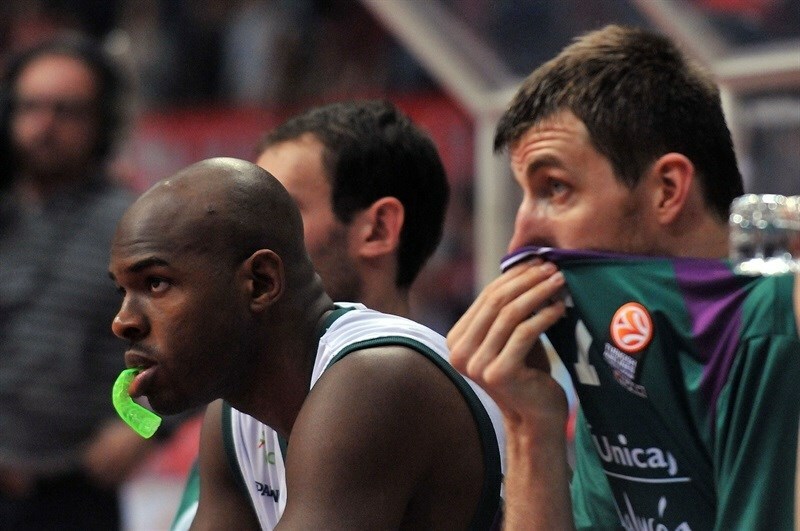 A fastbreak finish by Ryan Toolson kept Unicaja in front 9-13 before Spanoulis got his first points at the foul line. Will Thomas answered with a baseline turnaround and put back an offensive rebound to close a great first quarter for the visitors with an 11-17 lead in their favor. 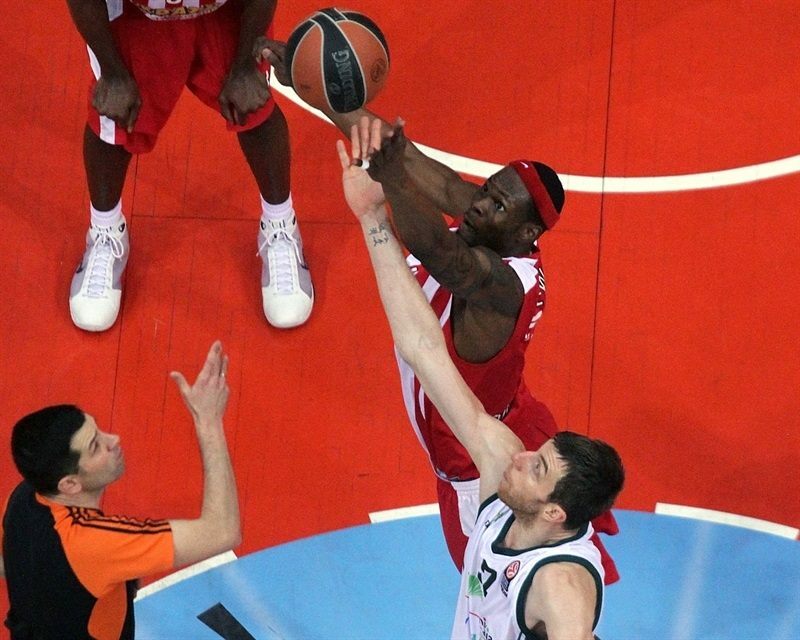 Vladimir Golubovic dunked a feed from Thomas as the lead reached 12-19 before Lojeski joined the Olympiacos scorers. Kostas Sloukas soon added his name with a three-point play to cut the difference to 17-20, but Mindaugas Kuzminskas answered with a triple from the corner for Unicaja. Free throws by Printezis and Spanoulis cut the difference to 20-23. Printezis and Toolson traded equally impressive layups, the former going left, the latter high over would-be shot blockers. Tremmel Darden's free throws drew Olympiacos within 24-25, but Granger got the bounce on a three-pointer and Green downed his own free throws lifting the lead to 24-31. Spanoulis found Mantzaris for his second three-pointer, but Fran Vazquez put back an offensive rebound in response for Unicaja. On the last opportunity of the first half, Spanoulis made his fifth assist cross court to newcomer Michalis Tsairelis, who twisted for a layup and his first Euroleague basket ever to make it 29-33 after 20 minutes. Lojeski closed the gap further with a step-back jumper after the break then gave Olympiacos its first lead of the game, 34-33, with an open triple from the corner. 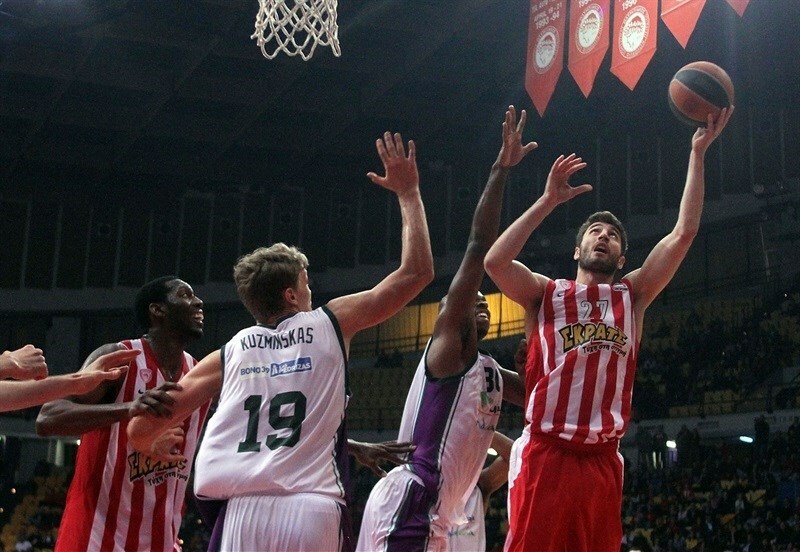 Vasileiadis answered with the same shot, however, and when Spanoulis fed Dunston for dunk, the score was tied 36-36. Spanoulis canned an acrobatic layup, his first points away from the foul line, and converted the added free throw to make it 39-28. Granger got a layup back for the guests but Spanoulis fed Printezis for another and-one play as the Reds went up 42-38. Granger posted up for his next basket while Spanoulis danced for his own and Printezis found Lojeski for another three-pointer at 47-40. After a timeout, Stefan Markovic fed German Gabriel for a layup and three-point play to calm the visitors. 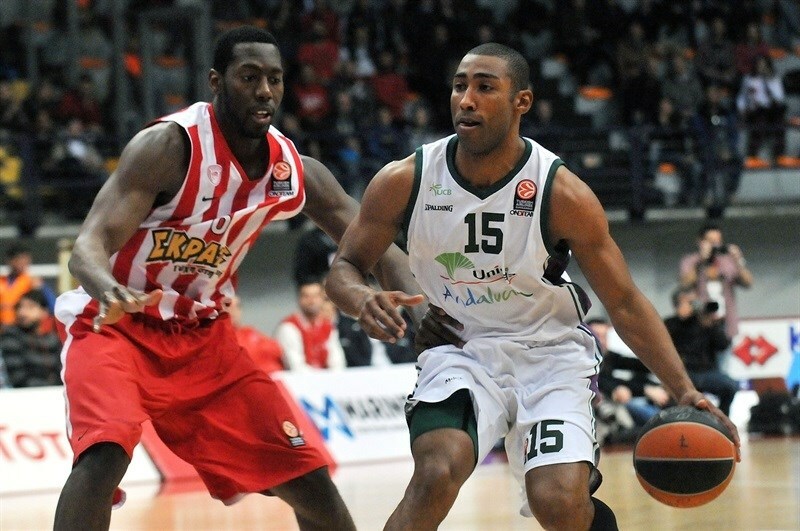 Oliver Lafayette struck for Olympiacos with a triple, but Granger answered from even deeper to keep Unicaja within 50-46. Gabriel became a passer next, feeding Thomas for a baseline dunk that forced an Olympiacos timeout. 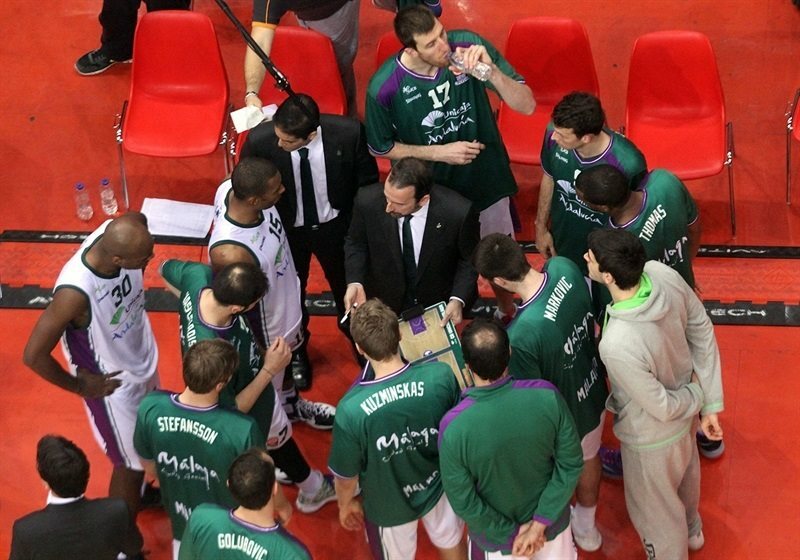 Sloukas came on and fired a triple over Unicaja's zone to revive the hosts. Toolson got 2 of those points back at the foul line, then Granger found Gabriel for an open layup before Othello Hunter tipped in his own miss before the third-quarter buzzer to keep the hosts up 55-52. Printezis hit a lefty one-hander from the baseline and Markovic a layup to open the fourth quarter. After a Printezis free throw, Kuzminskas fed Markovic for a layup before the latter passed over the entire Olympiacos defense for a game-tying dunk by Vazquez at 58-58. Sloukas calmed the crowd with a quick-strike three-pointer, but Vazquez downed a jumper in response at 61-60. Spanoulis found Dunston alone for an easy dunk and then got to the free throw line to make 2 of 2 shots for a 65-60 lead with 4:30 to play. 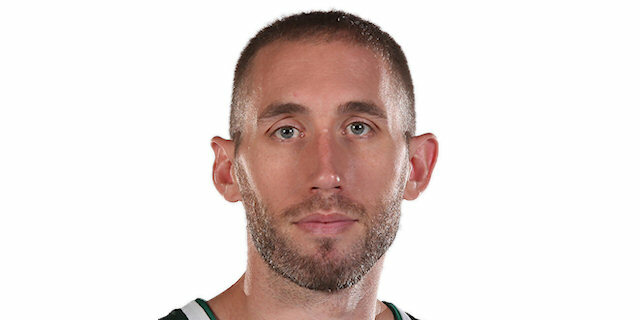 Jon Stefansson drilled a three-pointer that seemed to give Unicaja life - until Spanoulis erased it with a finger-roll layup that he converted into a three-point play at 69-63. His next layup, after splitting the entire Unicaja defense, was even better. 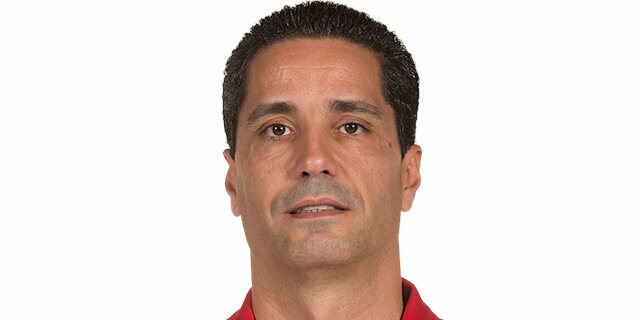 Thomas dunked a miss and Toolson banged in free throws for Unicaja, but in between Spanoulis assisted Lojeski and then Lafayette was perfect on the line as Olympiacos pulled away in the final minute to sole possession of first place in Group F.
"After we discussed it at halftime, we improved a lot on offense, moved the ball better and found our open players. We calmed down and were not nervous, so we made three-point shots and scored inside. We got the lead and after that with our stable defense won the game in the end. We are very proud that our club completed 500 games in Europe tonight, and the happiness is more now that we won this game. It is a very important win because we had to handle not only a good opponent, who is leading the Spanish League, but the pressure and our injury and health problems as well. We played much better in the second half as we scored some easy baskets and played with a clear mind." "With the score at 61-60, we committed two turnovers which proved crucial. Then Olympiacos took control of the game and beat us. They played very aggressively in the third quarter and changed the momentum of the game. We knew that it was difficult for the referees to call fouls in such a situation, but we came back. However, the two mistakes didn't allow us to have a better chance." "We had a slow start and trailed in the first half, but we managed to change the momentum in the second half and reach the victory. Defense is always the main factor for us to win games, but today we had to improve our offense and fortunately it worked out." "Unfortunately we lacked spirit in the closing minutes and didn't manage to win here. It happened in almost all our games so far and this is the reason why we have won only once. We played great in the first half and had the chance to beat Olympiacos, but every game lasts 40 minutes. 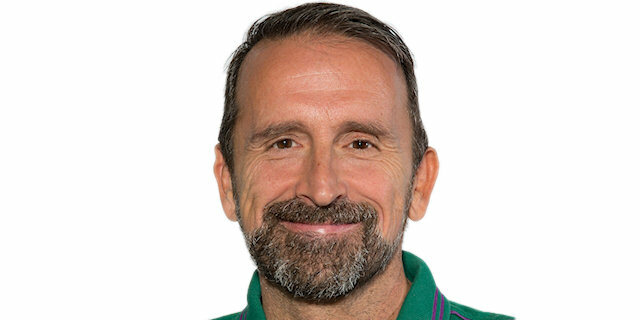 This is our major problem in the Euroleague, but it serves as a very useful experience for the Spanish championship. In the second half, Olympiacos improved their offensive game and found the solutions against our defense, while Spanoulis not only scored, but created opportunities for his teammates."